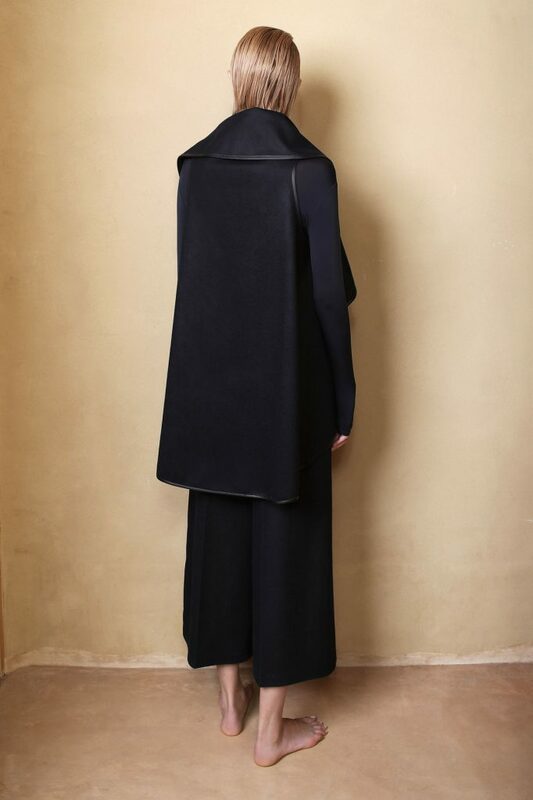 The MIDBAR #8 dramatically captures the signature Maskit cape-inspired aesthetic with a unique combination of an ankle-long length, bell sleeves and a face framing hood. An essential for cold weather, this edgy style is a contemporary take on the iconic Maskit MIDBAR #1 Coat. 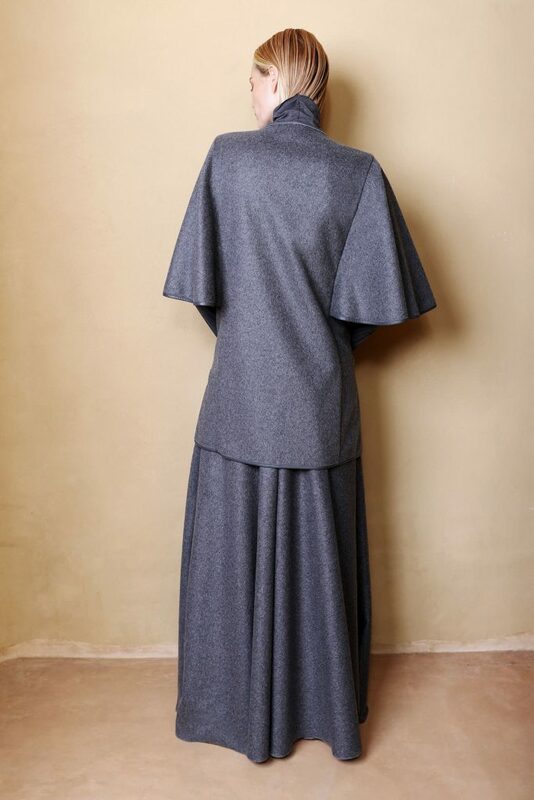 The juxtaposition between the long, loose cape and the belted waist provides the perfect combination of mystique and definition. Complete with hand-stitched embroidery and leather detailing, soft wool and a mid-weight, the MIDBAR #8 is designed to keep you cosy and fashion forward. The coat can be belted as tight or as loose as you choose, allowing for a flattering and comfortable fit. When belted it creates a fit and flare look, while loose it appears more as a cape. Soft to touch and durable fabric with a non stretch leather trimming. Model shown is 180CM / 5’9″.